A pair of Combat Lancer F-111As are shown with a pair of under-fuselage AN/ALQ-87 ECM pods and weapon bay M61 gun installation. Note that there was only a UHF antenna under the nose and the unusual shape of the outboard weapon pylon. My fellow modelers have often expressed amazement that while I have over 1,000 hours flying F-111s, I don’t have a model of one (other than company models). I probably should have built the Hasagawa 1/72 scale kits, which are pretty good (except for the Pave Tack pod). But the focus of this series of articles is the 1/48 scale Minicraft kit. While it captured the external shape of the aircraft, it has many faults. I’m going to show the real jet through a modeler’s eyes. I’ll address the existing aftermarket kits that I’ve seen and give you an honest appraisal of what I think about them. Unfortunately, to do a really accurate kit is going to cost you about four to five times the cost of the kit in resin. One can only hope that maybe Trumpeter will attack this subject at some point. If you are like me, you like to look at the photos and skip the text. However, there are a lot of important tidbits in the text of these articles! By FAR, the worst error in the Minicraft kit was the engine inlets. Neither inlet style depicted by the kit even remotely captured the feel of the actual articles. Operational F/EF-111As, F/RF-111Cs, the first FB-111A (67-0159), and the canceled F-111Ks were fitted with Triple Plow I inlets, which featured hydraulically translated cowls. The remaining FB-111A/F-111Gs, as well as all F-111D/E/Fs were fitted with Triple Plow II inlets, which featured three ‘blow-in’ doors. This redesign increased the separation between the inlets and fuselage, removed the external splitter panel, and featured inlet spikes 18-inches longer than the Triple Plow I’s. 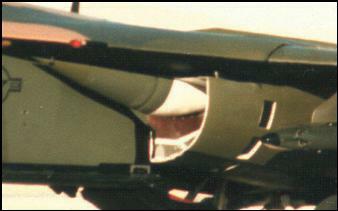 The fuselage of Triple Plow II aircraft angled back ever so slightly at the inlets to create more room between the two structures. These aircraft also featured a small, round inlet between the engine inlet and the fuselage. 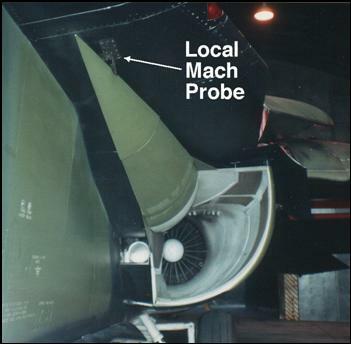 Finally, the F-111D/E/F and FB-111A all had a pattern of gray, and/or fiberglass-brown panels of radar adsorbing material (RAM) on the interior of their inlets. A couple of “special cases”: The second FB-111A (67-0160) was fitted with Super Plow inlets, which were similar to the Triple Plow II except that the translating cowls were replaced with two ‘blow-in’ doors instead of three. The first five F-111Bs (151xxx) were fitted with essentially Triple Plow I inlets, while the last two (152xxx) had essentially Super Plows. Refer to the Ginter Book on this subject for details. While the Triple Plow II inlet reportedly increased inlet area by ten percent, it’s unclear if that was precisely true. Measurements of the inlets suggest the TP II may be marginally larger than the TP I, but nothing like ten percent. However, the frontal area of the inlets may have increased by that much because of the shifting of the inlet farther out from the fuselage. 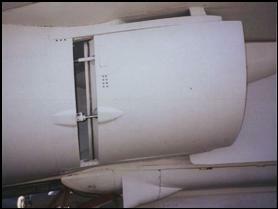 Prior to engine start, the TP II blow-in doors (or TP I movable cowl) were closed, opening as the engines powered up and sucked open the blow-in doors (or the cowls opened). They remained open until after takeoff, when sufficient air could be provided by the intakes alone. After landing they again opened to increase the air available to the engines during ground operations. Triple Plow I inlets (left) were most easily distinguished by the large splitter panel. 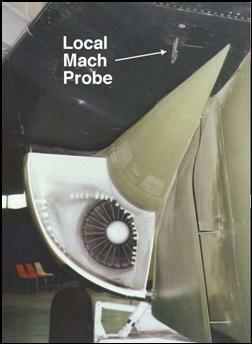 Note how the inlet spike barely reached the local Mach probe. Triple Plow II inlets (right) eliminated the splitter panel and the inlet spike was 18 inches longer than on the earlier inlet, extending well past the local Mach probe. This view of the TP I inlet on the left clearly shows the warped shape of the splitter panel and the lack of inlet RAM. 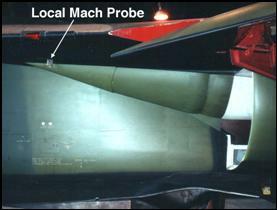 Note how far inboard of the local Mach probe the spike is. 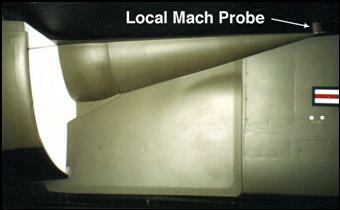 The TP II inlet on the right shows how far outboard the inlet was shifted (note how close the it is to the local Mach probe), the length of the inlet spike, and the inlet RAM. The TP I translating cowl (left) and the triple blow in doors of the TP II inlet (right). Note: No aftermarket correction sets have been produced to correct this serious error, although Scaledown has it on their list of things to do. In addition, they’ve promised seamless intakes at some point as well.